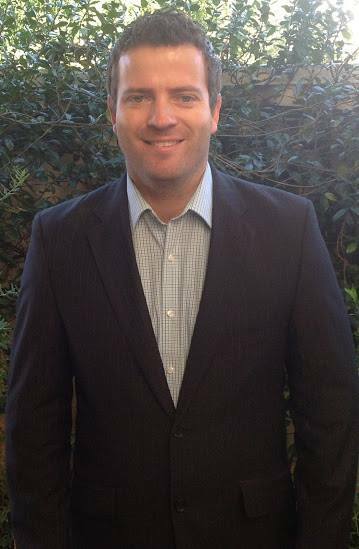 Paul Ames is a Career Counselor who operates “Skye’s The Limit Career Counselling” based in Perth, Australia. Paul is a contributor for the “Influencive”, has been featured in various national and international media- The Age, West Australian, WA Today, SMH, Motivate Me Podcast, Youngpreneurs Podcast, Careermetis Podcast and many more. Paul thrives on helping professionals who are miserable in their job to uncover a career path you desire and forge an unstoppable positive and driven mindset. Favorite quote: “Blood, Sweat and Respect, first 2 you give and the last one you earn” Dwayne “The Rock” Johnson. My dad always had his own business and I loved that he would come home when he felt like it when I was a kid. I have known for a long time that I wanted to make a massive impact on the world, but it took me until I was 30 to figure out what that was, for me the now alot of the driving force to push forward in business is to be able to spend more quality time with my family. Grant Cardone and the 10X Rule have made a massive difference in my life, but the other massive influencers in my life have been the incredible, supportive business people that I surround myself with. They help to keep me driven and motivated even when it feels like things are going really bad. Having a supportive network of likeminded people to surround yourself is crucial to your progress and mental state I believe. I have created a series of 11 online career development courses with my business partner, this idea came about as I have always wanted to leverage my time and share my knowledge and learnings with people anywhere in the world and impact thousands of lives. My business partner specialises in creating online courses for business owners so is an expert in her field as well. My product/ service is unique because I dive deep into understanding everybody’s unique personality traits- Values, Strengths, Skills, Natural Abilities, Personality Type and analyse the current employment trends and projections to best match a career that suits you (That you will actually find employment in). I also dive deeper to ensure your level of comfort studying if neccessary and what major life events you have coming up or in future that may impact these choices. I try to cover all bases and ensure this is a perfect fit for your life. My vision is to help change the lives of 10,000 people in the next 10 years by getting them out of a job that makes you miserable to one that brings you happiness and fulfillment. If you do Facebook ads, what types of creatives/campaigns do you use (we like specifics)? If you don’t, what untapped marketing channels do you take advantage of? I have run various facebook ad’s before but didn’t really like them, my biggest engagement has been from Instagram. The 2 main areas most of my business comes from is 1) Referrals from past clients or other business owners I have built up great levels of rapport with. 2) Google Searches where they have come across my Google Plus page, this is one page I regularly put fresh content into and youtube as this increases your SEO. I sure did, there have been a few times where I considered just giving up my business, things had been really slow for months and I felt like I was falling apart mentally and my stress was affecting my relationship. I stepped back and stopped stressing, because I am a very “Now” person where I put in work and expect immediate results, this has been hard. But in relaxing more and not putting so much pressure on myself things come to me easier and my level of happiness has improved ten fold. The biggest takeaway is keep at it but enjoy life as well as it goes too quick and be patient as things do happen. Most business owners pivot their business in a slightly different direction every 6 months, test what is working and what is not and ask yourself or your target market for feedback about what it is they truly want and if there was a product you could create that could solve their problems, what would it be? What would it do to solve problems? How would it solve their problems? Teach us anything that you would like. Can you recommend any favorite websites to learn that topic? Understanding YOU- Why are you starting this business/ venture? What lights you up inside to make this idea work? Who is relying on you to make this work( Wife, Husband, Kids, Parents, People needing your product service to change their life), What is going to keep driving you forward when things get tough and keep you focused on your goals? Understanding YOUR NICHE- Who is your ideal client- Age, profession, income, biggest dreams, biggest fears/ nightmares, what is the biggest problem they want solved, where do they hang out (Facebook, Insta etc), what are their hobbies? What websites/ businesses do they visit? What business/ service would they visit before they potentially see you?. One of my biggest career development mentors has been from Nicholas Lore and his best selling book “The Pathfinder”, his understanding and implementation of career coaching and counselling has changed the whole industry. I really struggled with Self Worth and huge amounts of Self Doubt, I ended up doing a lot of work for free because I didn’t believe in myself or what I was doing at the beginning, I let the influence and opinions of others really cloud my mind and judgement and as a result did not feel confident in who I was. It took me really reflecting on all of the amazing feedback and testimonials from many clients to snap myself out of it and say “Paul look at the incredible results you are getting for you clients, You can and are creating massive changes in the lives of many people. I think self doubt is something that many business owners both start up and veteran still get, but it comes down to understanding your “Why”. Why are you doing this and also it takes belief in who you are as a person and the unique abilities and skills we all have to offer the world. If you are struggling with self doubt or self worth, reach out to me as I am here to help you through this. I see myself having my own Tv show helping people with all aspects of their career and startups/ entrepreneurship as well as having my business helping thousands of people with their career development. Mike Craddock; "I had £3.64 in my Bank Account, with Nothing Particularly To Lose"